This set of buildings makes up the fourth phase of the False Bay Ecology Park rebuild. Although the buildings use the same materials and sustainable methods of the other 3 phases of the project, the buildings are presented in a more contemporary style. 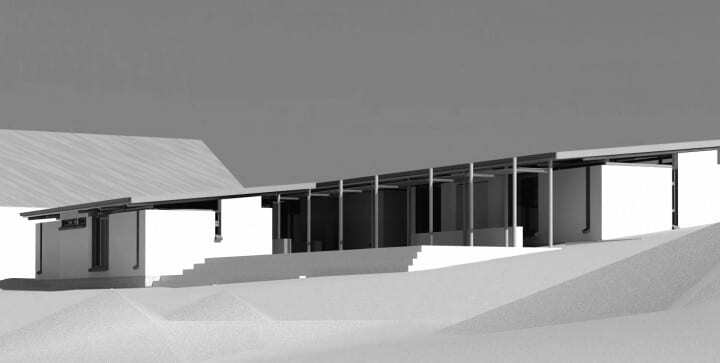 This contemporary style uses monopitch rooves to blend into the vlei bank and protect the buildings from the north sun.